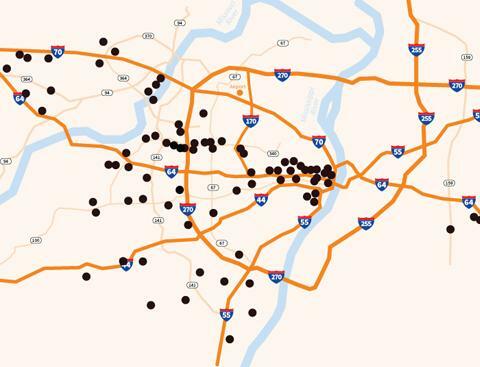 St. Louis Corporate Housing Map. St. Louis Corporate Housing, LLC has locations in nearly every part of the St. Louis region - St. Louis City, St. Louis County and Southern Illinois. We offer multiple corporate apartments in many areas, giving you a wide variety of corporate housing in several locations. Downtown St. Louis, Midtown, Clayton, The Central West End, U-City, Chesterfield, Creve Coeur, Maryland Heights, Wentzville, O'Fallon Missouri, O'Fallon Illinois, South County, West County, St. Charles, and Kirkwood are all areas where we have corporate apartments. Our multiple St. Louis corporate apartment locations provide you with the quickest, easiest drive to your work location or job site. 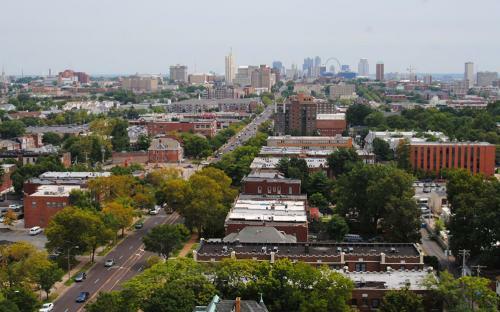 We offer only Class 'A' units and properties, along with the best corporate housing pricing in St. Louis. Contact us now by calling 314-200-4350 and let us show you how easy it is!